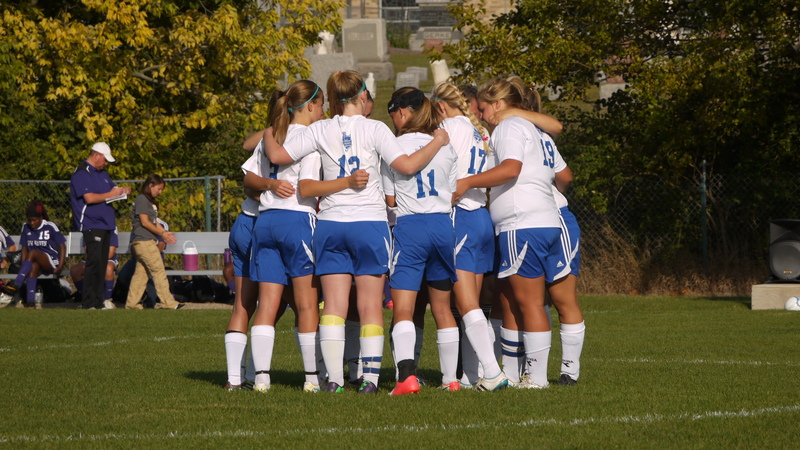 The girls soccer team is about to ﬁnish up their season. Their senior night was on Tuesday, September 30. Chloe, Sarah, Aviana, Deb, and Megan all had the opportunity to win their last home game and they all had success in completing their goal. The score was 3-0 with two goals from Rebecca Kanpol and one goal from Emily Day. 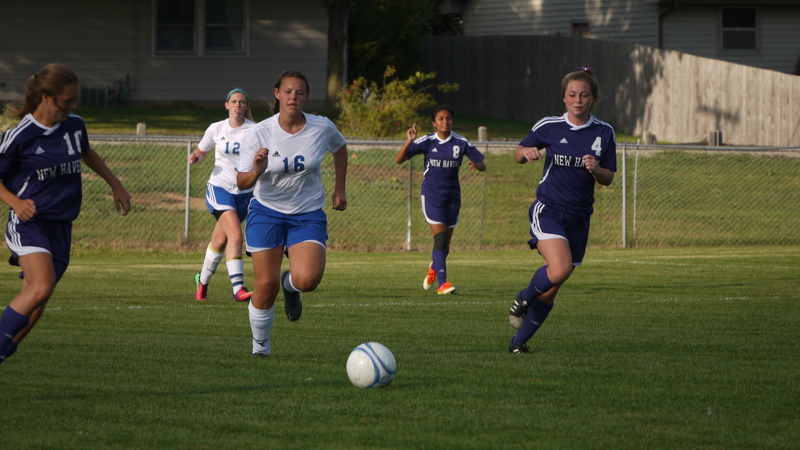 According to Sarah Claussen and Aviana Wyall, 2 seniors on the soccer team, Blackhawk had a really solid team this year, but they also played a lot of tough schools. The girls had a successful season and are hoping to go far in sectionals. The following is an interview conducted with Sarah Claussen and Aviana Wyall. Is everyone on the team close in relationship with each other? Itʼs obvious that you guys have had some pretty funny and awesome memories. What are some of your favorites? You just had your senior night on Tuesday. Sectionals are just around the corner. How will you prepare differently for the most difﬁcult part of the season – mentally, physically, and spiritually? Was there a team that you loved playing against? 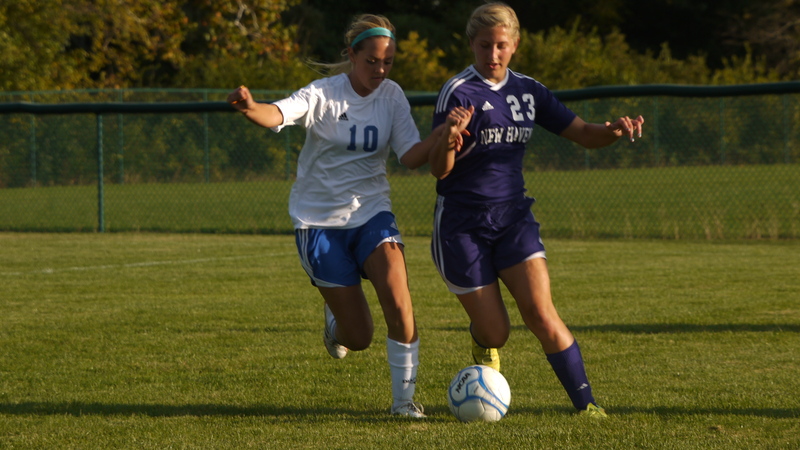 Aviana Wyall fights for possession of the ball. Was there a team you hated playing against? Avi – “Garret. This girls got really physical and the game wasnʼt fun at all. We didnʼt do that well. I was so mad afterwards even though we won. By the grace of God we won because a girl from Garret scored for us. Why do you guys like playing soccer? Sarah – “I love playing because of the people that play, not just because I play. It is a fun game to play, but not for the competition. Avi – “The game is fun. It is a world-wide game. Everyone loves it. Everybody should know how to play soccer. It is more of a European sport, but we should love soccer more than we do.